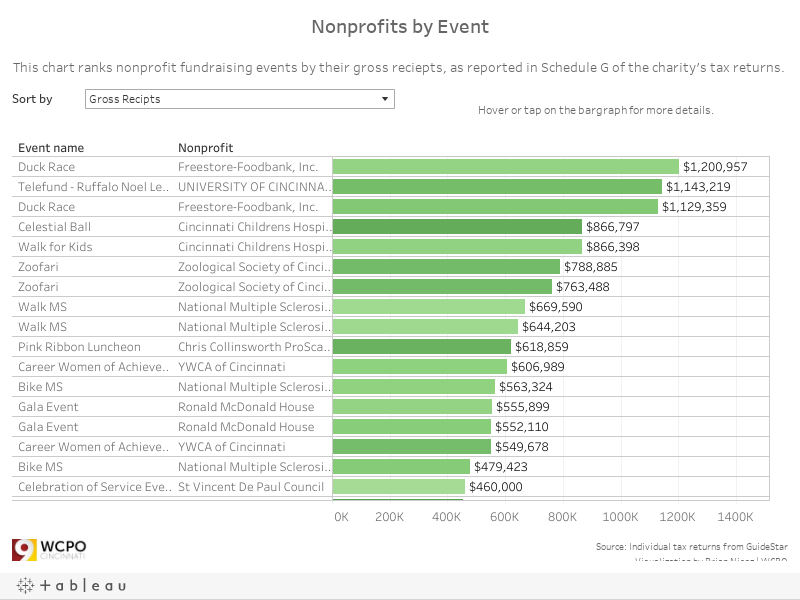 Nonprofit fundraisers: How much of the money they raise actually goes back to charity? CINCINNATI -- Matthew 25 Ministries' tax return shows the nonprofit raised more than $101,000 at its “Fighting Hunger” 5K in 2015. But the Blue Ash-based charity spent more than $95,000 to stage the event. So it kept only 6 cents for each dollar raised to fund its distribution of food, water and disaster-relief supplies globally. Mettey said the annual race is a promotional tool for Matthew 25 ’s month-long food drive, which has distributed 730,000 pounds of nonperishable goods to 50 Cincinnati-area food pantries since 2005. The race not only boosts food donations but also introduces Mathew 25 to new volunteers, ultimately increasing its overall operating efficiency. Melissa Newman sees it differently at the Southwest Ohio Chapter of the Juvenile Diabetes Research Foundation . In fact, Newman closed down an annual fundraising walk in Dayton this year because it kept falling short of its goals. The foundation tries to retain 70 to 80 percent of event revenue after expenses, but Newman said the Dayton event was "nosing into the 70s" as revenue declined. WCPO spent several weeks comparing local fundraising events, using numbers pulled from the most recent tax returns available for 53 local nonprofits. The 133 events in our searchable database raised nearly $27.2 million over three years and cost $9.4 million to produce. That means on average, local charity events returned 66 cents to their sponsoring nonprofits for every dollar contributed by donors. WCPO has been studying the business practices of local nonprofits since February, when an I-Team report on compensation practices showed the region's 100 largest nonprofits had 112 employees who made more than $500,000. The purpose of the ongoing inquiry is to help the supporters of the nonprofit sector evaluate whether tax-exempt organizations are operating efficiently and fulfilling their charitable mission. It’s a struggle for nonprofit managers everywhere: how to raise money for worthy causes without breaking the bank on catering, venue and staffing costs. A 2014 Association of Fundraising Professionals survey found the typical nonprofit has three to four events a year while raising more than $100,000 from their efforts. More than half of the survey respondents declined to answer how much their events cost, but 18 percent said they spent less than 40 cents for each dollar raised. For running, cycling and walk-a-thons, 28 percent of nonprofits said they spent less than 60 percent of total revenue on event expenses. As a former director of alumni relations at the University of Kentucky, Newman had 15 years of experience with donors before the Juvenile Diabetes Research Foundation hired her in 2011 to manage its Dayton and Cincinnati operations. She said donors have a right to expect nonprofits to raise money efficiently. That’s why Newman tries to raise at least twice as much as it costs to stage an event in its first year. Within five years of starting a new event, she tries to get its profit margin above 70 percent. The more popular an event gets, the easier it is to hit that margin. 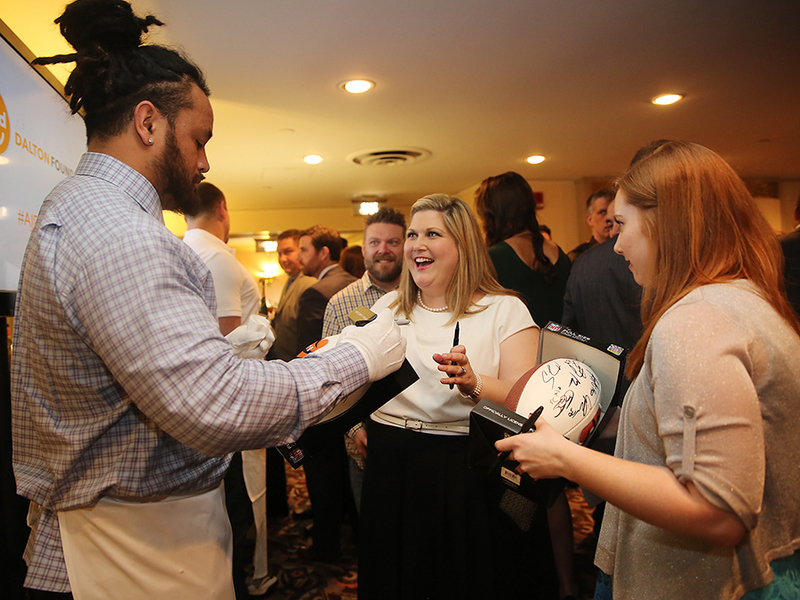 The foundation's biggest event, the Cincinnatian of the Year Gala, raised $1.4 million this year and cost $310,160 to produce, Newman said. So, it keeps 78 cents of every dollar raised. The gala is one of several big fundraising events not listed in WCPO’s database because it’s operated by the local affiliate of a national nonprofit that files tax returns only as part of the larger enterprise. The American Heart Association and American Cancer Society each have three events that raise a combined $6.8 million. But they declined to reveal how much they spend to operate events like the Heart Mini Marathon and the Cancer Society’s Relay for Life. There are plenty of local nonprofits that have fundraising success without the benefit of a national organization, however. Cincinnati Children’s Hospital Medical Center , for example, beats the industry standard when it comes to the efficiency of its fundraisers. Cincinnati Children's Hospital Medical Center's 2017 Cincinnati Walks for Kids. 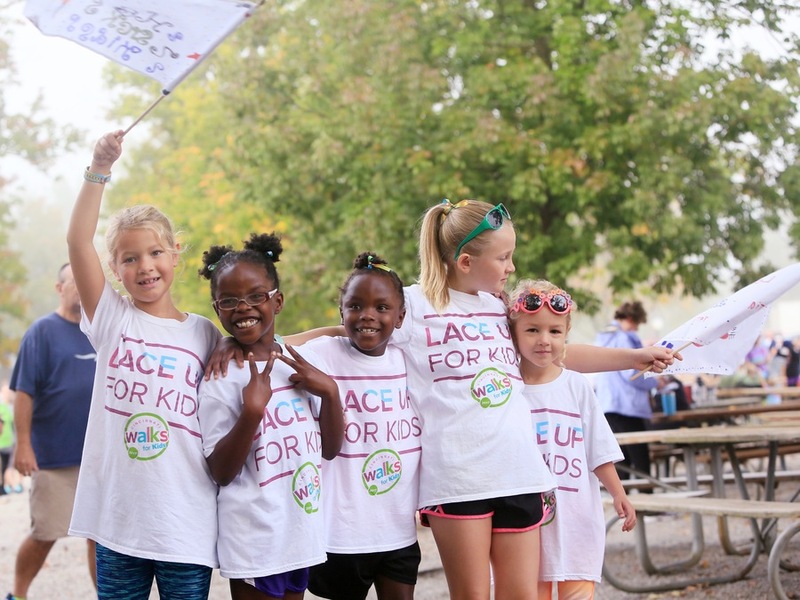 According to the hospital's calculations, the Cincinnati Walks for Kids event has an expense ratio of 21 percent, meaning that Cincinnati Children’s spends 21 cents for every dollar the event generates, said Jim Saporito, senior vice president of development at Cincinnati Children’s. The annual Celestial Ball is a bit more expensive but still spends only 27 cents for every dollar it generates, he said. Both events raise significant sums. After expenses, the walk netted $635,000 this past September, and the ball raised $750,000 last May, according to Saporito. But those amounts are tiny compared to money the hospital raises through donations from grateful families. Consider: Cincinnati Children’s raised about $43 million from 37,000 gifts from July 1 to June 30, 2017. And 140 of those gifts made up 85 percent of the revenue, Saporito said. Are events even worth it? That leaves some to wonder whether nonprofits would be better off if they didn’t have events at all. Because of that, the Haile Foundation prefers to give grants to nonprofits for operating expenses to free them up from the need for fundraisers, he said. But, as Matthew 25’s Mettey stressed, there are plenty of reasons other than money to host events. Her firm helps to manage and market a number of the city’s biggest fundraising events, including Macy’s Arts Sampler benefiting ArtsWave , the Flying Pig Marathon , Summerfair and the Western & Southern Open . Successful events also make sure that they connect back to the mission of the nonprofits they support, she said. Cincinnati Children’s does that by focusing on children during its annual walk and annual gala, Saporito said. Reau cited Dress for Success’ s annual Fashion Show as another good example. It’s the organization’s largest fundraiser, and it sells out every year, she said. Supporters look forward to it not only because the fashion is terrific, but also because the nonprofit’s clients share their stories and how Dress for Success has helped them. 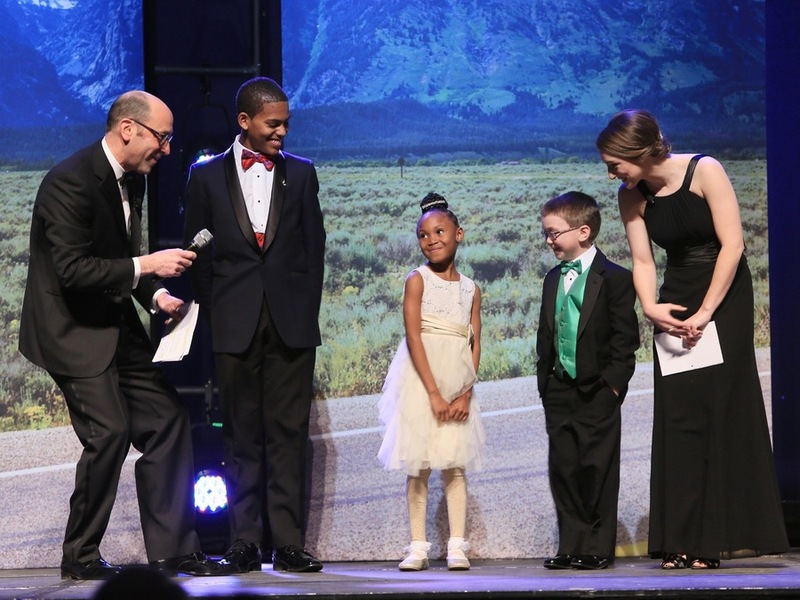 Cincinnati Children's Hospital Medical Center gets kids involved in its black-tie Celestial Ball so that the event stays focused on the hospital's mission. Even so, Reau said she advises plenty of nonprofits against starting new events. 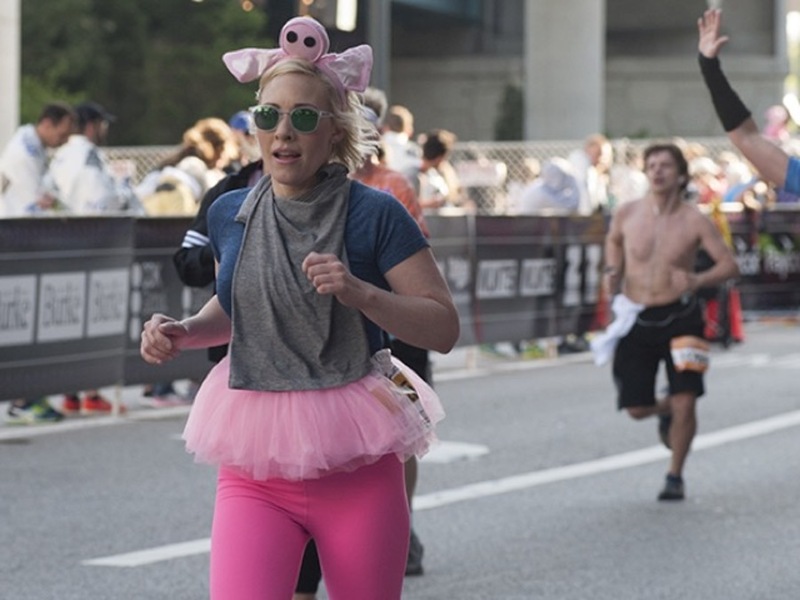 The nonprofit Melanoma Know More took her advice, she said, and has raised $30,000 through the Flying Pig without having to foot the bill for starting a new event, closing streets and marketing, among other expenses. Reau also cautions nonprofits to plan events with their supporters and their interests in mind. To gauge the success of local fundraising events, WCPO pulled numbers from Schedule G, a section of the IRS 990 form that is required for any nonprofit that raises more than $15,000 from fundraising events. Schedule G lists gross receipts and various kinds of expenses, including food and beverage costs, facility rental and prizes for guests. It’s a standard form with the same detail sought on every tax return. But many nonprofits answer the same questions differently. Five events, including a 2015 “Celebration” at Cincinnati Hills Christian Academy and the Greater Cincinnati Foundation ’s Annual Luncheon in 2014, claimed to have no expenses. Mathew 25 claimed only $1,285 in expenses for a 2015 golf outing that delivered $69,212 to the nonprofit. 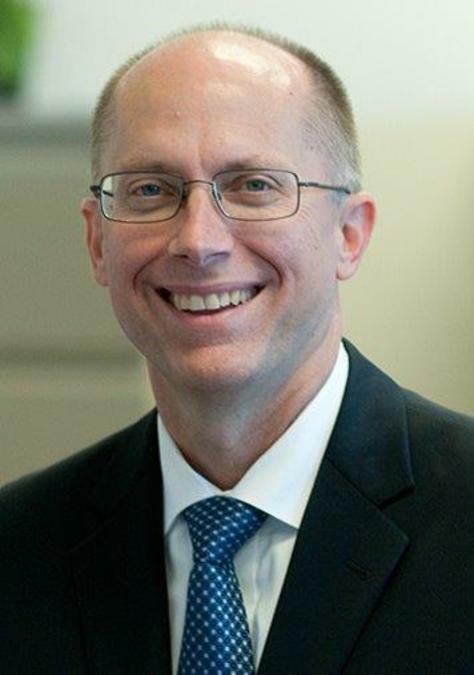 Greater Cincinnati Foundation said 2014 was the first year it had an event big enough to require Schedule G disclosures, so it wasn't tracking expenses in a way that enabled their disclosure that year. The event did report expenses in 2015. The Dan Beard Council of the Boy Scouts of America didn’t include its biggest fundraising event in its Schedule G disclosures until this year. The annual Good Scout Award Luncheon has raised more than $600,000 in recent years, but the money was reported as part of its “contributions and grants” disclosures, not as a fundraising event. It changed that policy in 2016 and now reports the event in Schedule G.
One of the region’s biggest fundraising events, the Flying Pig Marathon, doesn’t make any Schedule G disclosures. But in Part III of its 2015 return, labeled “Statement of Program Service Accomplishments,” Cincinnati Marathon Inc. reported revenue from all races of $2.97 million. It also reported total expenses of $3.2 million, noting that the figure excludes $371,000 in grants to other charities and $1.2 million in donated services and supplies. That would seem to indicate Cincinnati Marathon Inc. spent $1.06 for every dollar it raised from all races. But an accountant for the nonprofit told Reau that the 2015 tax form is misleading because that's when the organization changed from a fiscal year to a calendar year for reporting. By its calculations, the nonprofit spends about 22 cents of total revenue on administrative expenses for all of its events. One more quirky return involves Cincinnati Bengals quarterback Andy Dalton, whose annual Celebrity Waiter event raised $366,034 before expenses even though the Andy and Jordan Dalton Foundation reported only $68,357 in gross receipts on Schedule G.
The foundation’s tax attorney said Dalton received 26 large contributions from people inspired by the event. Those gifts were reported on Schedule B of its 2015 tax return, as required by IRS rules. Because the event cost $112,676 to produce, the foundation’s Schedule G disclosures make it look like Celebrity Waiter Night lost money in 2015. But if you count the big checks written by people inspired by Dalton’s work with seriously ill children, the event is a relatively efficient fundraiser, keeping 69 cents of each dollar raised. Saporito said he’s certain there are “nuances” in the way different nonprofits report information on their 990 forms, but he’s just as certain that organizations take the filing of the forms seriously. Dan Monk covers business for WCPO. To read more stories by Dan, go to www.wcpo.com/monk . Follow him on Twitter @DanMonk9. Lucy May writes about the people, places and issues that define our region -- to celebrate what makes the Tri-State great and shine a spotlight on issues we need to address. To read more stories by Lucy, go to www.wcpo.com/may . Follow her on Twitter @LucyMayCincy.